Looking for a family-friendly SUV with the latest high tech features? You can find the new Honda CR-V for sale at Lou Sobh's Honda of the Avenues near St. Augustine. This capable crossover offers available all-wheel drive, and a recent edition has won the U.S. News and World Report Best Cars for the Money award. Browse our online inventory of Honda CR-V colors and configurations today! 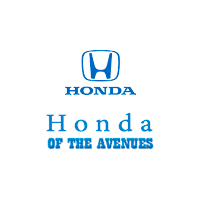 Why Buy a New Honda CR-V at Lou Sobh's Honda of the Avenues? For more information, feel free to contact us online!